The LG Access LTE is smartphone that boasts of its 4G LTE speed connectivity. 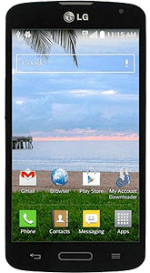 It is equipped with a 4.5-inch display with a resolution of 800x480 pixels. From within, the phone is powered by a 1.2GHz Quad-Core processor. It has a built-in memory of 4GB, with an option to expand this by up to 32GB using a microSD card. To take pictures from the phone, there is a 5MP rear-facing camera and 1MP front-facing camera. The back camera is able to record HD quality videos. With its battery, the phone gets up to 12 hours of talk time and 13 days in standby mode. The phone runs Android 4.4 KitKat upon unboxing.